Tanveer-da-blog: On the Importance of "Idiots"
Beyond ramblings and lectures lies wisdom. Let's go there. On the Importance of "Idiots"
"I think we should build the platform in-house, instead of buying this expensive product", he said. He had some solid arguments, but they didn't stand much chance in front of the professional salesmanship, animated charts, and confident looking numbers presented by the product company's sharp executives. He presented several counter arguments, but in vain. After the meeting, I overheard someone say "I don't understand why he insists on building this in-house. What an Idiot!". Three years, many frustrated business users, and several million dollars later, the product was decommissioned and a year long development project to build a replacement was approved. The said idiot would have had the last laugh, but he had long quit the company. Often, our definition of an idiot, especially in professional environment, is someone who doesn't see the world the way we do. They are too dumb to see our logic. They are the negative thinkers. They are the naysayers. They are the ones who we love to put down or ignore. However, sometimes, they are also the ones who, a few years later, pass by you and their eyes silently say, "I told you so". 1. Never ignore them: They may have a point, but not the presentation skills. They may speak from a certain experience and logic, which is different from your own, but equally valid. So, pay attention to naysayers and "idiots". If they had the motivation and (often) the courage to bring forth a different point of view, it may have some merit. 2. Understand their premise and motivation: What is driving their thought process? What have they seen before? What fears, hopes or prejudices are shaping their point of view? 3. Think, What if: Step back for a moment, and think. What if this "idiot" is actually right? Perhaps you don't want to take his opinion or suggestion at face value, but perhaps you could factor in some of it in your decision or plan. 4. Action is important: Convert each naysayer's response to a positive action. It could be a mitigation plan, or further analysis. But, try to end it on a progressive note instead of a negative, regressive emotion. 5. Bring about closure, but fast: Trying to please everyone, or go after every "idiot" is expensive and impractical. While completely ignoring them is not advisable, learn to be quick in analyzing and bringing about a logical conclusion. This would require a fair bit of speed in your thinking, but also a good amount of assertion. However, there is a big difference between putting down someone's view point and properly closing it - and that is quick. mindful analysis. A few years ago, when WhatsApp was launched, I remember arguing with a friend. He thought it was a game changer and I thought it had nothing much to offer when we already had SMS, Facebook Messenger etc. When he didn't agree, I remember saying to myself "what an idiot". Well, all I can say is that I learnt my lesson. 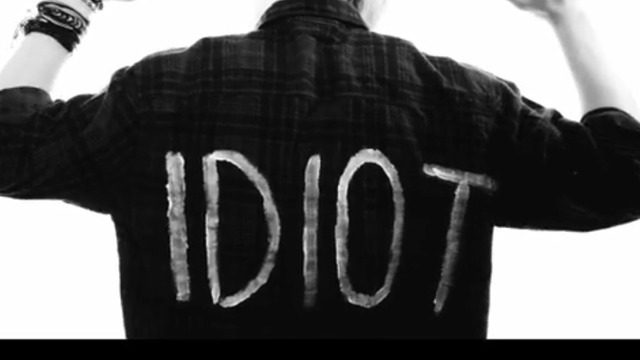 So, each time you find yourself calling someone "idiot", take a step back. Don't react. Don't judge. Try to understand. When comparing conflicting ideas, look beyond the proverbial silver cloth. While it is important not to answer every voice in a noisy room, or get into a never-ending analysis paralysis, remember that too many "idiots" have had the last laugh. Yes. In most of the situation we will be facing these kind of intelligent idiots. And we think that we know everything and do not accept with them. That's funny actually after few years. "How IBM Conned My Execs Out Of Millions"
"Please note that the views expressed on this weblog are mine alone and do NOT necessarily reflect the views of my current or previous employers."